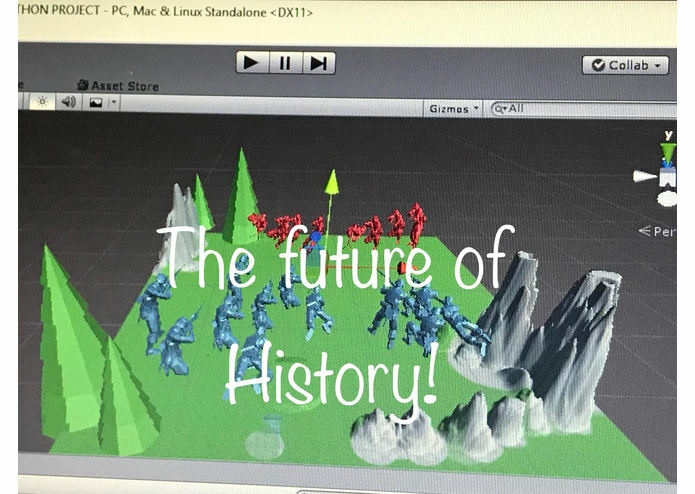 The "Future of History" allows students to learn history lessons interactively through VR headgear. We did this project because we were often bored and off task in history classes. We used Unity and Blender to code our project and then used VR technology to test out everything. We ran into two major challenges: one of it was converting stl files to obj files also we faced difficulties in transferring our code into our VR gear. Accomplishments that we're proud of: Getting Unity to work and creating a very workable environment in VR as a team. We learned that we can learn from each other's knowledge to learn ourselves and create something incredible out of it. We also learned a whole new coding program in under 21 hours. We hope to make more VR stimulations that make a good impact to other people and make learning more fun!